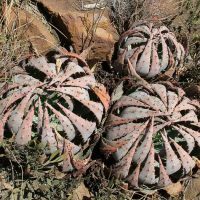 Brian Kemble and I traveled to the country of South Africa and spent a month long expedition to study the flora there. 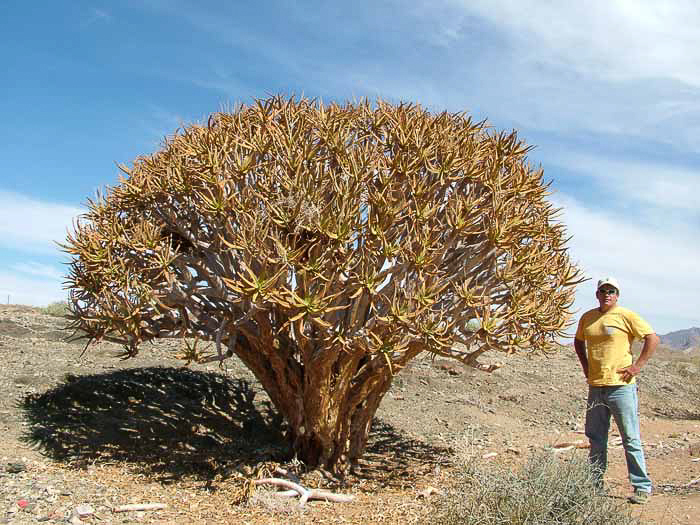 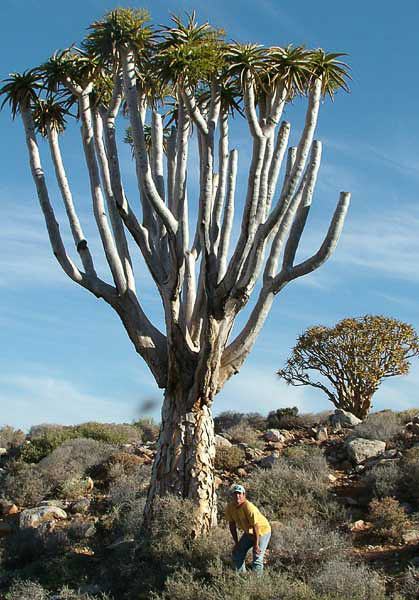 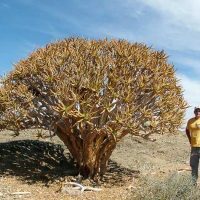 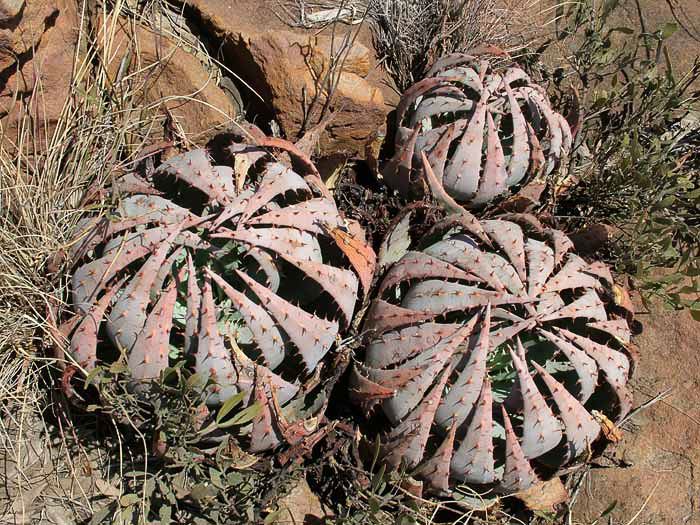 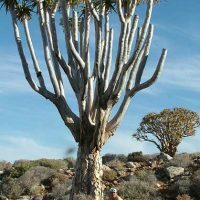 We traveled with Ernst van Jaarsveld to the Richtersveld to see the magnificent Aloe pillansii and the stunning hillsides of Aloe pearsonii that cloak the terrain like a coat of red paint. 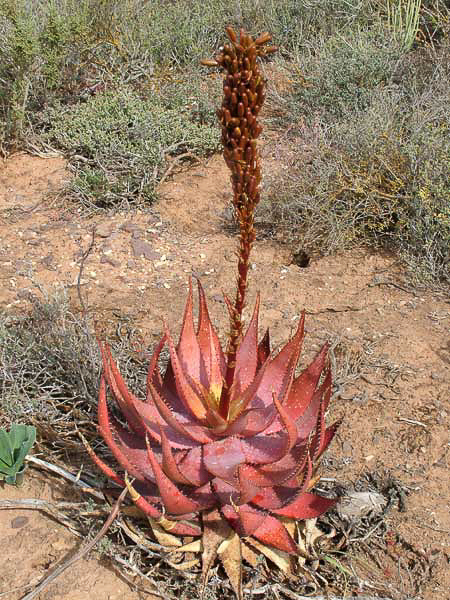 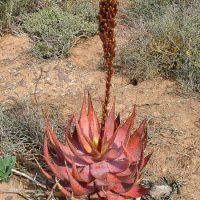 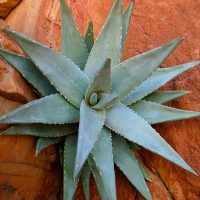 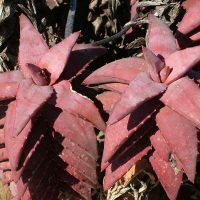 We climbed the cliffs to see a wonderful small new Aloe, Aloe meyeri which looks like blue starfish clinging to the red brown quartz rock. 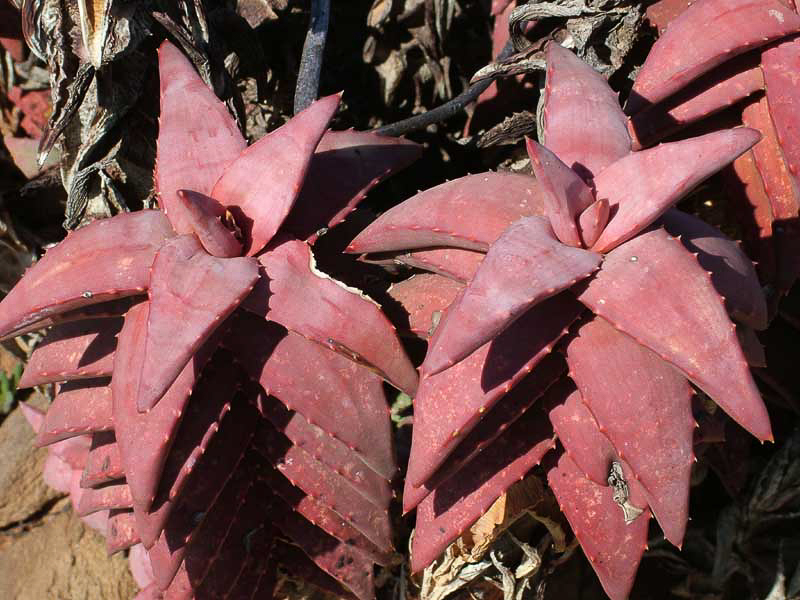 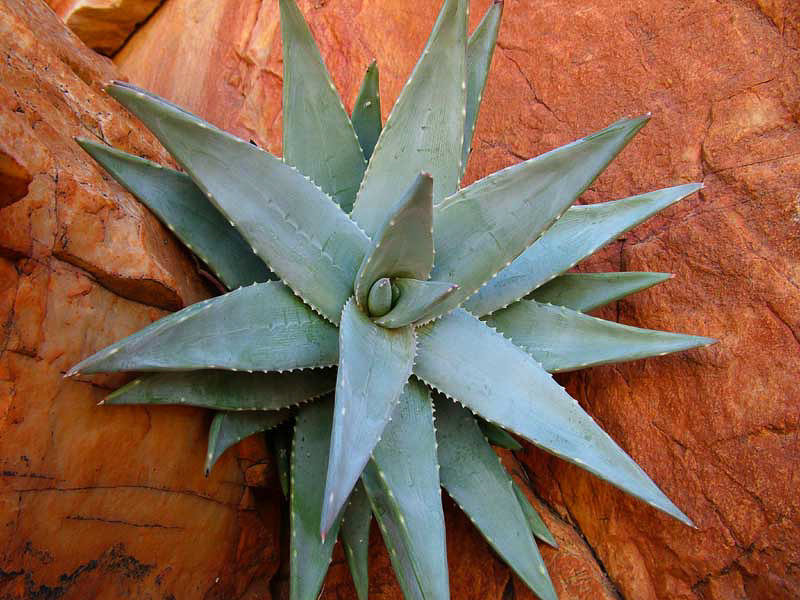 Over all we visited habitats that included over 40 species of Aloes and numerous other succulent plant species.